Square Enix starts operation of Starwing Paradox today. 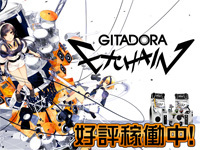 This is a new battle mecha action game that is playable in 8 vs 8 online. The game cabinet is a cockpit reproducing the mecha movement. Starwing Paradox cabinet features two control levers for the different weapons and pedals for boost movements. There is also a touchscreen sub-monitor for information. The player attacks with different weapons using the right and left triggers. He can equip weapons such as a shotgun and proximity weapons. The mecha's head, fuselage, legs, arms, wings and weapons can be freely reconfigured by the players. There are 6 playable characters: Hikari; a positive girl, Nagi; a boy with a great sense of justice, Reika; a calm girl, Shirley; a young energic girl, Kazuma; a genuine warrior and Isadora; a popular girl. 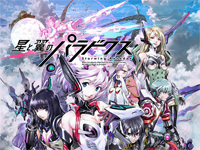 Starwing Paradox's animation is handled by the famous Japanese studio Sunrise. The producer is Naohiro Ogata (Mobile Suit Gundam Unicorn), the character designer is Yoshiyuki Sadamoto (Neon Genesis Evangelion) and the mecha designers are Ippei Gyoubu (Mobile Suit Gundam: Iron-Blooded Orphans) and Jun’ya Ishigaki (Xenogears Gear). You can watch the trailer here. 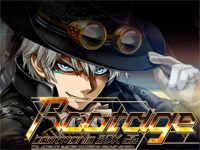 Konami starts operation of beatmania IIDX 26 Rootage in Japan today. beatmania series will celebrate its 20th anniversary in February 2019. 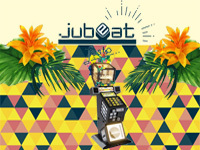 The theme of this new work is "Music Library" and it's now possible to read code with a camera placed on the cabinet, register and share playlists and recieve bonus. 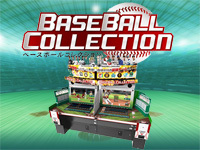 The function "high speed option" allows you to easily set the score speed, makig the game easier for beginners to play. 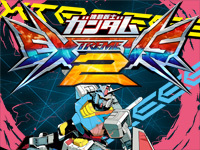 Mobile Suit Gundam Extreme Versus 2 hits Japanese game centers today! This sequel to the famous 3D fighting game from Bandai Namco runs in a brand new Namco Noir cabinet equipped with an USB port to connect a gamepad and a headphone socket. The game graphics are in full HD and all Gundam were redesigned. There are more than 160 Mobile Suits coming from 36 differents Gundam works. The newcommers are the SW-G-08 Gundam Barbatos Lupus Rex (Mobile Suit Gundam IRON-BLOODED ORPHANS), the TBG-011B Try Burning Gundam (Gundam Build Fighters Try), the GF13-006NA Gundam Maxter (Mobile Fighter G Gundam), the MS-06R-AB Zaku Amazing (Gundam Build Fighters), the MBF-P03D Gundam Astray Blue Frame D (Mobile Suit Gundam SEED Destiny Astray B), the AGE-1G Gundam AGE-1 Full Glansa (Mobile Suit Gundam AGE) and the MSAM-YM03 Montero (Gundam Reconguista in G). Beside the new Mobile Suits, two new stages are available: "agricultural pant" and "axis". Two new EX Burst are introduced: Mobility and Linkage allowing to boost partner's boost, EX gauge and weapon. New and improved game modes are added: Plus Coin Mode (play 3 battles even if you lose), Training mode, Group Play Mode and Player Tournament. You can watch Mobile Suit Gundam Extreme Versus 2 trailer here and the game's opening here. Sega releases a new version of its musical game CHUNITHM today. The game concept is of course still the same but there are a lot of new songs and collaborations are already coming. The first one starts today and will end on November 21th. It's a collaboration with the animes Toaru Kagaku no Railgun S withe the opening Sister's Noise by fripSide and Pop Team Epic with the second opening POP TEAM EPIC by Sumire Uesaka. The new Konami's pop’n music game is out. 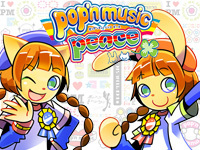 pop'n music peace celebrates the 20th anniversary of the release of the first pop'n music game and the theme is the original one renewed. Original characters Mimi and Nyami appear with their 1st generation design and popular songs from the past series are present. SNK Heroines AC Tag Team Frenzy is a fighting action game starring the heroines of various SNK titles. 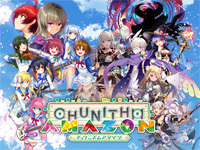 The game is available via Taito's NESiCAxLive2 today. Two players team up to fight. There are an attacker on the front of the screen and a supporter at the back. 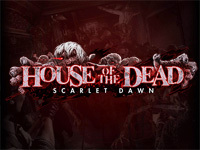 The game is simple to play and players can use deadly techniques with only one button. And, even if the opponent's physical strength reaches 0, the unique way to finish him is the ultimate deathblow "Dream finish". The fighters line-up includes Athena Asamiya, Kula Diamond, Kakoruru, Mai Shiranui, Leona Heidern, Yuti Sakazaki, Shermie and others. As there are only girls in the game, a female version of Terry Bogard is available.